Based on the facts set forth in the last post (read here…) Det. Tisdale asked that the case be thrown out on the grounds that there was probable cause for his actions. Likewise, our client also asked the Court that the plaintiff be declared the automatic winner, without a jury having to decide, on the ground that there was absolutely no probable cause for Detective Tisdale’s actions. On a motion for summary judgment, the facts must be read in the light most favorable to the non-movant. In this case, our client absolutely challenges the veracity of Tisdale’s totally uncorroborated testimony that he received any phone call whatsoever from any alleged informant. First, there is absolutely no evidence whatsoever to corroborate the police officer’s entirely self-serving testimony: no eyewitness accounts and no phone records. Second, during his deposition, when asked if the search warrant for the apartment identified any suspect by name, Det. Tisdale answered “No.” When asked if the search warrant for the apartment identified any suspect by description, Det. Tisdale answered: “I don’t know. Because that was not my warrant. It was another case. A detective that was on my team.” So, plaintiff contends that the confidential informant would not have had Det. Tisdale’s direct cell phone number because in this apartment search warrant investigation, Tisdale was merely a bit player, only tangentially involved in the apartment search warrant. By his own words, “that was not my warrant” and by his actions, he was stationed outside as the warrant was being executed. Thus, plaintiff submits that the no cell phone conversation with a confidential informant ever took place. Viewing the evidence in the light most favorable to the non-movant, Det. Tisdale did not receive any telephone call and there is no possible way that Det. Tisdale had probable cause for the plaintiff’s arrest, or even “arguable probable cause.” Nobody has ever claimed that plaintiff had anything to do with the apartment being searched around the corner, and Tisdale admits that absolutely nothing suspicious was happening in the van when Tisdale pulled his gun, ordered the occupants out of the vehicle, placed them in handcuffs and searched the van. Probable cause to arrest requires reasonably trustworthy information that an offense has been committed. Ackerson v. City of White Plains, 702 F.3d 15 (2d Cir. 2012). Tisdale concedes that absolutely nothing was going on when he seized the plaintiff. Therefore, Tisdale’s motion for summary judgment on the grounds that Tisdale had probable cause to arrest plaintiff must be denied. And, as will be discussed immediately below, even if Tisdale’s testimony regarding the phone call from the confidential informant is true, as we must assume when deciding the plaintiff’s cross-motion, Tisdale still arrested the plaintiff without probable cause or “arguable probable cause” and deprived plaintiff of his Fourth Amendment rights as a matter of law. Section 1983 provides a civil claim for damages against any person who, acting under color of state law, deprives another of a right, privilege or immunity secured by the Constitution or the laws of the United States. See 42 U.S.C. § 1983; Sykes v. James, 13 F.3d 515, 519 (2d Cir. 1993). Section 1983 itself creates no substantive rights; it provides only a procedure for redress for the deprivation of rights established elsewhere. See City of Oklahoma City v. Tuttle, 471 U.S. 808, 816 (1985); Sykes, 13 F.3d at 519. To prevail on a § 1983 claim, a plaintiff must establish that a person acting under color of state law deprived him of a federal right. See 42 U.S.C. § 1983; Gomez v. Toledo, 446 U.S. 635, 640 (1980); Sykes, 13 F.3d at 519. Thomas v. Roach, 165 F.3d 137 (2d Cir. 1999). 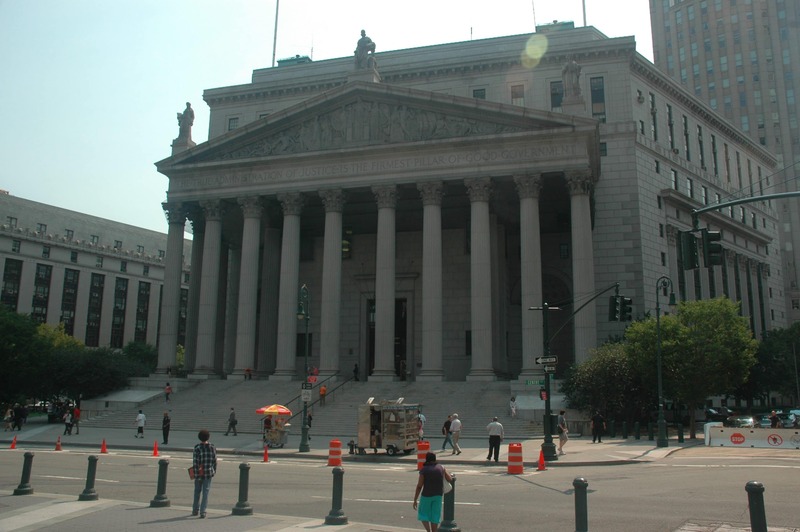 The plaintiff alleges that defendant Tyrone Tisdale was acting in the scope of his employment with the Police Department of the City of New York (i.e., acting under color of state law) when Tisdale deprived the plaintiff, our client, of his Fourth Amendment rights when Tisdale arrested plaintiff without probable cause. The Fourth Amendment prohibits unreasonable searches and seizures. Gilles v. Repicky, 511 F.3d 239 (2d Cir. 2007). Detectives Tisdale approached our client’s vehicle with gun drawn and pointed at the plaintiff and the other occupants. Tisdale immediately pulled all three occupants out of the vehicle; handcuffed them and placed them at the curbside. Tisdale then searched the entire contents of the passenger compartment of our client’s vehicle. As a matter of law, this conduct amounts to much more than an investigatory detention; rather, this conduct constitutes an arrest, or seizure, without probable cause. Oliveira v. Mayer, 23 F.3d 642 (2nd Cir. 1994). Probable cause to arrest requires reasonably trustworthy information that an offense has been committed. Ackerson v. City of White Plains, 702 F.3d 15 (2d Cir. 2012). Det. Tisdale himself testified that he observed absolutely nothing suspicious going on in the plaintiff’s van. According to Det. Tisdale, the only facts that he himself personally observed were: three individuals sitting in a van. Tisdale also claims that he received a telephone call from another person that the target of an apartment search warrant had just entered our client’s vehicle. Even if Tisdale’s testimony about this phone call is credited (as it must be herein), there are still three glaring problems. First, the phone call makes no mention of any criminal activity. And since Tisdale himself observed no criminal activity, there is absolutely no basis to stop the plaintiff, let alone arrest him. Second, even if the caller did mention criminal activity, it is well settled that a police officer cannot act on a telephone tip alone, but instead must corroborate suspicious activity before he can approach the suspects: Initially, it is clear that an anonymous telephone tip may not constitute reasonable suspicion warranting a stop of the subject of the tip (see, People v. Stewart, 41 NY2d 65, 69). In order for such information to give rise to a reasonable suspicion, independent investigative police work must corroborate criminal facts disclosed by the informant (see, People v. Elwell, 50 NY2d 231, 237). People v. Glover, 2001 WL 940232, Sup. Ct., Ontario Cty., 2001. Third, and most critical, none of this had anything to do with our client. Even if Tisdale received a phone call (which we are required to assume), and even if the phone call suggested criminal activity (which it did not), and even if Tisdale corroborated the criminal facts with independent police work (which he did not), then just maybe there might be some reasonable suspicion to approach the person who had just entered our client’s car and ask that person to step out of the vehicle, but that’s not what Tisdale did here. Tisdale pointed his gun at our client, Tisdale pulled our client out of the vehicle, Tisdale put handcuffs on our client, and Tisdale sat our client on the curb. So, because Tisdale himself observed nothing suspicious, because the cell phone call did not suggest any criminal activity, because Tisdale did not corroborate the phone call, and most importantly, because all of this concerned only the passenger in our client’s parked car and not in any way concerned our client, there is, as a matter of law, not even reasonable suspicion to stop our client here, let alone place him under arrest. For these reasons, summary judgment on the plaintiff’s § 1983 false arrest claim must be granted. Moreover, Tisdale also is not entitled to qualified immunity, or to have the immunity question put to a jury, because even when considering the facts in the light most favorable to Det. Tisdale, it was not objectively reasonable for him to point his service revolver at all occupants of the vehicle, order them all out of the vehicle, open car doors and pull all the occupants out, then handcuff them all and place them all at the curb. As Tisdale’s own Memorandum of Law concedes, at page 5: “The existence of probable cause is measured at the moment of arrest, not on later developments. Beck v. Ohio, 279 U.S. 89, 93 (1964).” Like the plaintiffs in Oliveira, supra, our client’s initial encounter with police was too oppressive to be a mere investigative stop and the detention by Tisdale was not privileged because Tisdale clearly lacked probable cause. The fact that Tisdale later found a decriminalized amount of alleged marijuana in the van is irrelevant. Accordingly, our client, the arrested person, is entitled to summary judgment. QUESTION: Okay. So let’s go back. After the occupants were handcuffed by yourself and the other detective, what’s the next thing that you did? ANSWER: I looked in the vehicle, I smelled marijuana, and I looked and – into the vicinity of all the occupants where they were seated at. ANSWER: Yes, you know, where the areas of – the occupants’ areas of the vehicle, the lungeable areas of where the occupants were sitting in the vehicle. QUESTION: Okay, And this is after they were removed in handcuffs? ANSWER: Yes. ******* Tisdale Depo., p. 26. Thus, by Tisdale’s own words, our client was arrested without probable cause and, as he had absolutely no reason whatsoever to believe that any criminality was afoot, Tisdale’s request for qualified immunity should be denied as a matter of law. It does not matter that Det. Tisdale later found a decriminalized quantity of marijuana in our client’s van, as that was a “later development.” In his Memorandum of Law, at p. 5, Tisdale cited many cases in support of his contention that detention for any offense, however minor, provides Tisdale with probable cause to arrest our client. However, those cases are very different from the present case because in those cases, the minor offense was the predicate for the intrusion. In this action, the very minor marijuana violation ultimately charged was entirely serendipitous and completely after-the-fact. Accordingly, for all the reasons set forth above, this Honorable Court should declare our client the automatic winner, without a jury having to decide, on the ground that there was absolutely no probable cause for the police officer’s actions. That’s it. That was our argument to the Court to have our client ruled the automatic winner (in lawyer terminology: that was our argument in support of our client’s motion for summary judgment in his favor.) What do you think? Was the police conduct lawful? Or did the search and seizure conducted by police in the narrative above violate our client’s Fourth Amendment rights? Stay tuned for subsequent articles in this series for the results. The experienced lawyers at Martin + Colin, P.C., headquartered in White Plains, handle unlawful search and seizure claims, false arrest cases and lawsuits alleging violations of civil rights. If you have had your civil rights violated, Martin + Colin, P.C. may be able to help. Please call (914) 771 7711 or email using the ‘Contact Us’ form on this webpage. Attempted Murder Charge – Dismissed!! Sole Custody Awarded to Our Client!